Proper Orthogonal Decomposition (POD) is a statistical procedure of data analysis aimed at obtaining low-dimensional approximate descriptions of large scale, high-dimensional processes or data set. POD uses an orthogonal transformation to convert a set of observations of possibly correlated variables into a set of values of linearly uncorrelated variables called principal components. The number of principal components is less than or equal to the number of original variables, however it generally gives a good approximation with substantially lower dimension. 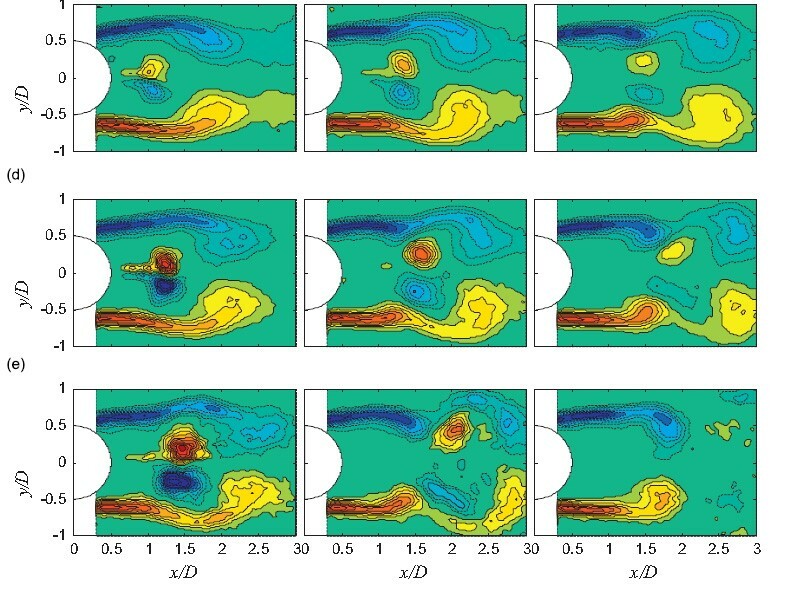 POD has been increasingly used to obtain approximate, low-dimensional descriptions of turbulent fluid flows and identify the flow structures in PIV field. Microvec has added new POD module to enable post-processing of large data set. Below a sample result obtained with Microvec POD module showing evolution of the phase averaged synthetic jet vortex pair at different duty cycle factors. Pictures courtesy of: Feng, Li-Hao, Jin-Jun Wang, and Chong Pan. "Proper orthogonal decomposition analysis of vortex dynamics of a circular cylinder under synthetic jet control." Physics of Fluids 23 (2011): 014106. Dynamic mode decomposition (DMD) is a new mathematical technique that allows to extract the dynamically relevant flow features from experimental or numerical data. In this technique, a linear mapping is constructed from a time resolved series of data. 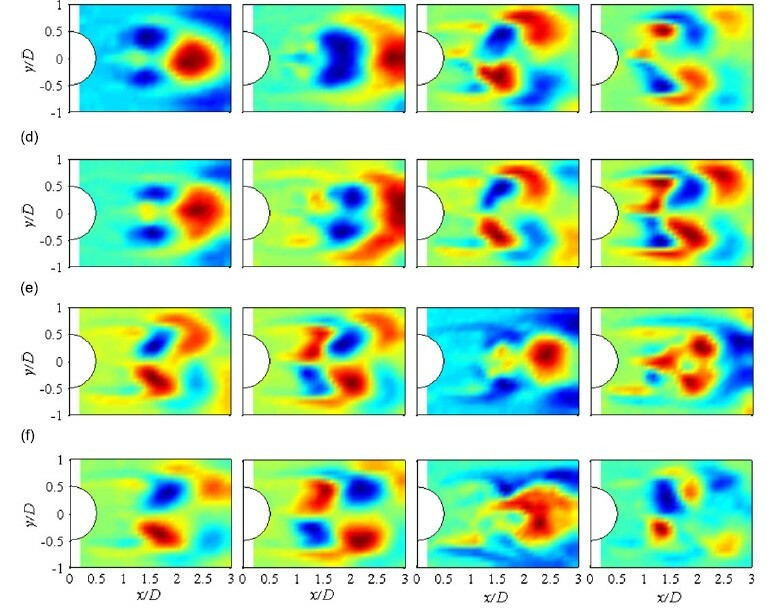 It is similar, but different from proper orthogonal decomposition (POD) which has similar features but lacks dynamical information about the data. DMD allows the breakdown of a fluid process into dynamically relevant and coherent structures and subsequently help in characterizing and quantifying the physical mechanisms in fluid flow. MicroVec now offers an optional DMD module to enable use of this technique in MicroVec software.